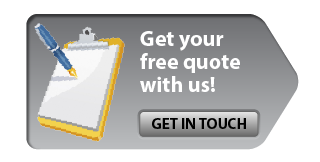 Frequently Asked Questions | Chisholm Roofing Ltd.
1. What are the signs that a roof should be replaced? 2. Can snow damage my roof? Yes. It is important to clear heavy snow from ridge vents and eavesdrops. 3. What are ice dams? Ice dams occur when poorly ventilated roofs, which become warm, cause snow to melt and refreeze along the ridgeline. Because of the ice dams, melting snow and ice can't drain down the gutters and instead pools up on the roof. This can cause leaks in ceilings, interior walls, attics and other areas. 4. Should I seal my cedar roof? Some companies claim that sealing a cedar roof will extend its life, but we’ve found that it actually does the opposite. Workers step all over the existing shakes, which damages them further. 5. There's mildew and/or mould on my roof. Is there anything I can do? Although mould and mildew are unsightly, they don’t cause actual damage. Still, it’s understandable to want to eliminate such growths. Mildew and mould cleaners are available and can be applied using a sprayer. 6. Is it possible to install new shingles in the winter? Yes! Chisholm Roofing can install new shingles at any time of year, and we guarantee a leak-free installation. 7. What steps can I take to extend the life of my roof? Inspect and clean drains and gutters to keep water from pooling up on the roof. Clear away snow after heavy snowfalls. Use a leaf blower or soft broom to clear leaves and other debris from the roof. Block or remove petroleum-based products from entering the roofing system membrane. Have the roof inspected at least every two years. Be on the lookout for debris, missing caulking, blistering, protrusions, loose or missing nails, and other issues. 8. Why is ventilation important for roofs? Proper ventilation ensures that your attic stays cool in the summer and that moisture condensation doesn't build up during the winter. 9. How frequently should I clean my gutters? Clean them at least one time during the summer and at least two times during the fall. 10. How much will it cost to replace my roof? The total cost depends on a number of factors.  Contact Chisholm Roofing for a free, no-obligation quote. Chisholm Roofing can assist you with all of your roofing needs. Call 604-325-8099 today! Our service areas include Burnaby, Vancouver, New Westminster, Richmond, North Vancouver, South Vancouver and West Vancouver.